Iguodala, 34, is averaging 7.9 points, 4.9 rebounds and 3.1 assists per game in 13 games this postseason. The 2014-2015 NBA Finals MVP and two time NBA champion has missed the Warriors' last six postseason games, after banging knees with James Harden during Game 3 of the Western Conference Finals. He was dealing with a left lateral leg contusion/bone bruise. Warriors coach Steve Kerr told the media before the announcement that Iguodala was going to test out the leg on the court. Cavaliers coach Tyronn Lue told reporters that his team will start the same lineup, regardless of Iguodala's status in the Warriors' starting lineup. 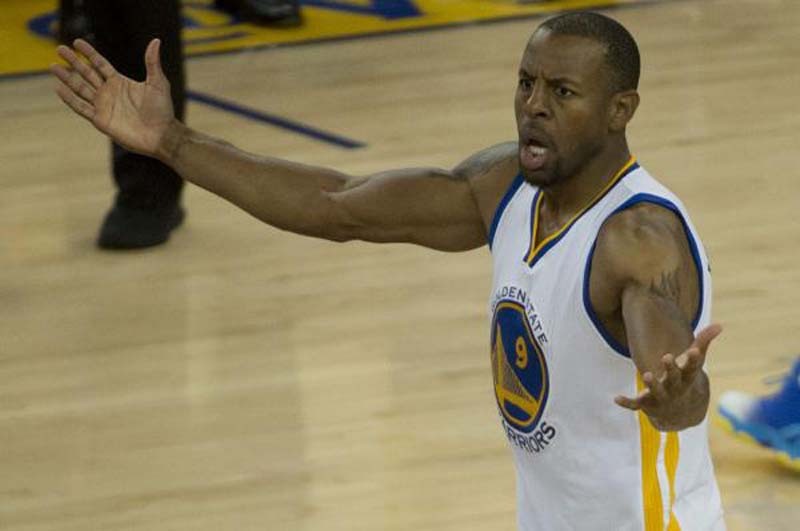 Iguodala practiced with the Warriors on Tuesday, when he was considered a game-time decision. The Warriors and Cavaliers tipoff at 9 p.m. Wednesday in Cleveland. Golden State is looking to earn a 3-0 lead in the series and is on a quest for back-to-back championships.